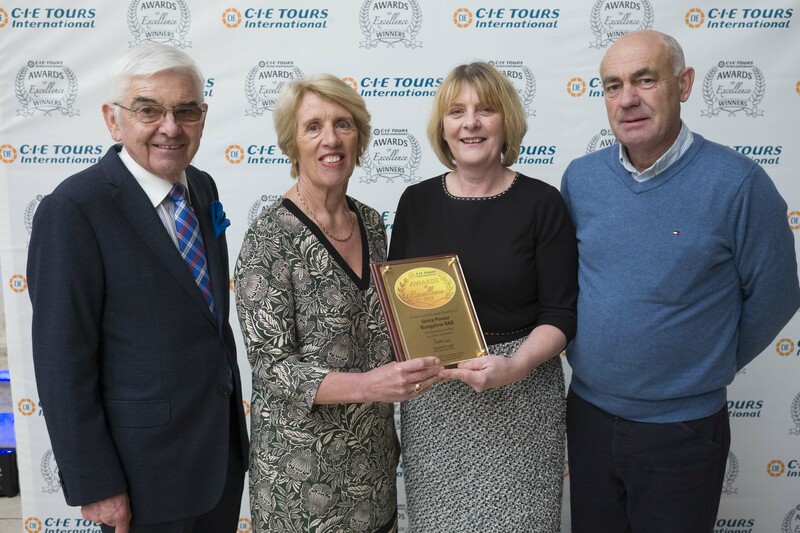 Local tourism’s getting another boost today with a number of outlets listed at the CIE Tours International Annual Awards of Excellence. The accolades recognise the best hotels & attractions across the country, based on feedback from over 32,000 customers throughout the year. Kilkenny Castle, the Smithwick’s Experience & Gretta Power’s Bungalow Farmhouse B&B in Clomantagh as well as the Dunbrody Famine Ship in New Ross are among Leinster’s Visit Merit winners. While Dublin’s Academy Plaza Hotel, which is owned by Castlecomer couple Joe & Julie Comerford, is one of 12 down for regional hotel merit. 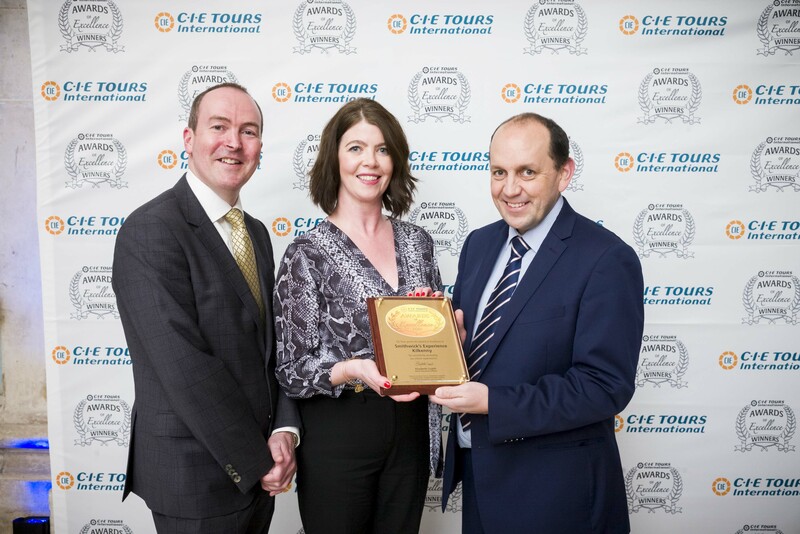 Stephen Cotter, Chief Operations Officer of CIE Tours International, presents Valerie O’Sullivan and Martin Hanrahan of Smithwick’s Experience Kilkenny, with their award at the CIE Tours International 29th Annual Awards of Excellence.